This town had several attractions nearby. The first place that we visited was Stratford-upon-Avon which was the birthplace of William Shakespeare. This place was steeped in both culture as well as history. This place had a unique living museum known as Falstaff’s experience. It was one of the most exciting and unusual tourist attractions that we visited. The tour to this living museum was not only fun for me and my family but highly informative as well. Another unforgettable experience here was the visit to the Stratford-upon-Avon Butterfly Farm and Jungle Safari. This farm is one of the largest in Europe. Here we got the chance to enjoy some of the world’s most spectacular and colorful butterflies which were fluttering around us. We also visited the Blenheim Palace which was very near to Chipping Norton. This magnificent palace was home to the 11th Duke and Duchess of Marlborough as well as the birthplace of Sir Winston Churchill. This palace has been categorized as a World Heritage Site. Here we visited the gilded State Rooms, which is home to one of the finest collections in Europe. We also came to know that the palace was a gift to the First Duke of Marlborough and was created to celebrate victory over the French during the Wars of the Spanish Succession. So our experience here at this fascinating palace was a lot of fun. 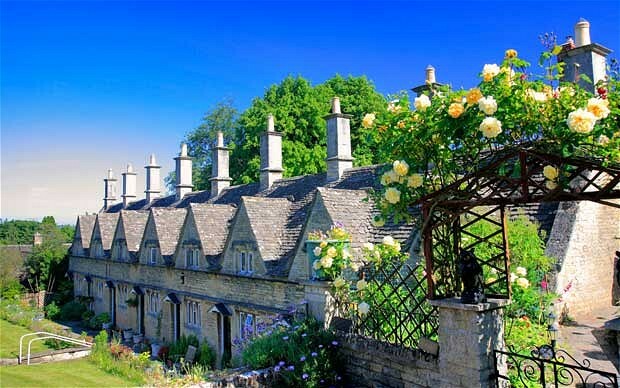 Another delightful market town which we visited on our stay in Chipping Norton was called Stow-on-Wold. This town was situated on a 700 feet high hill at a junction of seven major roads, including the Roman Fosse Way. This was also an important shopping center and had many fine Antique shops, Art galleries and Gifts and Crafts shops. We purchased some beautiful souvenirs from here for our friends and family. Another museum which we visited was called the Chipping Norton Museum. This museum was run by the Local History Society and funded by the Town Council. Set in attractive gardens was the Oxfordshire Museum in Woodstock. The museum, which was also not far from Chipping Norton, featured collections of local history, art, archaeology, landscape and wildlife. When it came to food, this small town had a large variety of restaurants as well as pubs to choose from. One of them was called the Watson eatery. We had a delicious lunch there. With a relaxing ambience and a menu with lots of variety, our experience here at that delightful eatery was fun, fresh and filling. During our visit to Chipping Norton, we stayed in Crown and Cushion Hotel which was located in the Town Center. The town also had other options of accommodation which included B&Bs, guest houses and holiday cottages, plenty of choice!